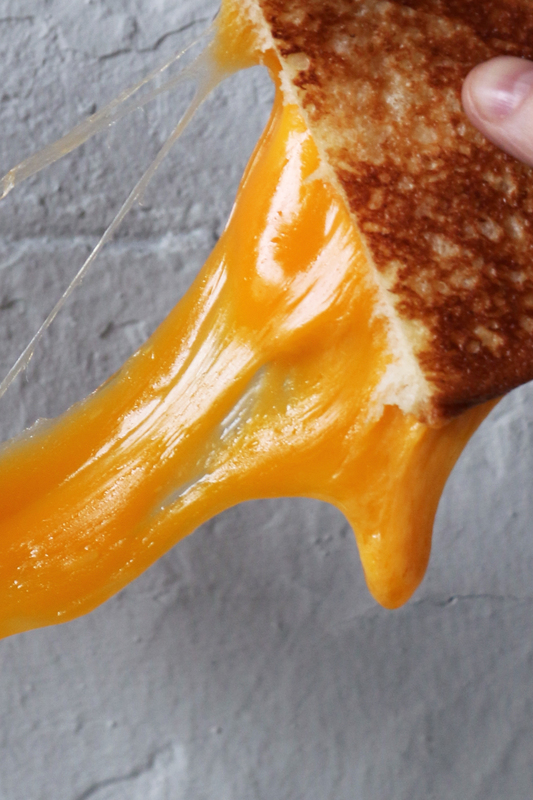 We love the ooey-gooey – that melty delight that is fondue, grilled cheese, and everything in-between. But in your own cheesy experimentation you’ve probably noticed how some cheeses just aren’t as up to turning melty as others. It doesn’t mean we love them any less (I mean, who doesn’t love that crispy crust of Parmesan on a Chicken Parm?) but we know they’re just different. Have you ever wondered why? Don’t worry, we’re here to break it down for you, Cheesers. First things first, it’s all about the fat! The fat and water ration in cheese determines how it is going to melt. So something that is higher in moisture is usually going to be a better melter than a drier alternative. That’s because the protein structure (which is what keeps the water and fat separated) is looser in high moisture cheeses, and very rigid in dry ones. So when heat is applied to most cheeses, the fat globules change from solid to liquid, which is when it starts getting that ooey gooey consistency. 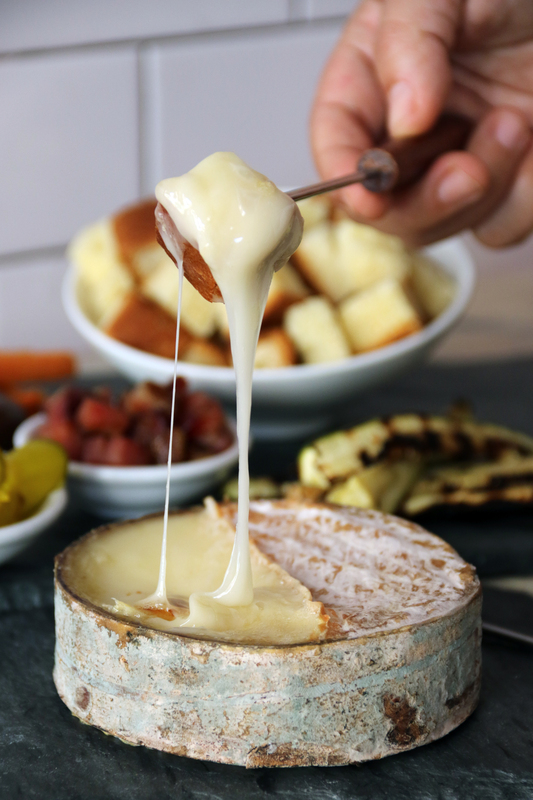 The protein structure loosens its grip under the heat, and the cheese begins to flow like a thick liquid rather than a solid – think of dripping, delightful fondue, and you’ll have the right idea in your head! This is why age isn’t just a number when it comes to melting cheese – the age actually means a lot! Freshly made cheeses don’t have that maturity level yet, with their proteins tightly wound up. As they gain a little bit more time, the proteins loosen up, and create a more open matrix (think of it as a net that holds all the water and fat). That matrix is flexible, which is why they melt smoothly and don’t break. But if it ages too much, those proteins tighten up into tough clumps – that’s where that crispy cheese comes in. So the best melters are a combo of age and moisture – Emmentaler, Gruyere, Comte, they are all well aged, with a flexible protein net. Their high moisture helps separate the proteins without breaking them completely, which allows them to flow into stringy, ooey-gooey meltiness. It totally makes your mouth water just thinking about it, right? Science is so much funner when it’s delicious. You can hit up some of our favorite melters and get started on your own grilled cheese, fondue, and other cheesy experiments! 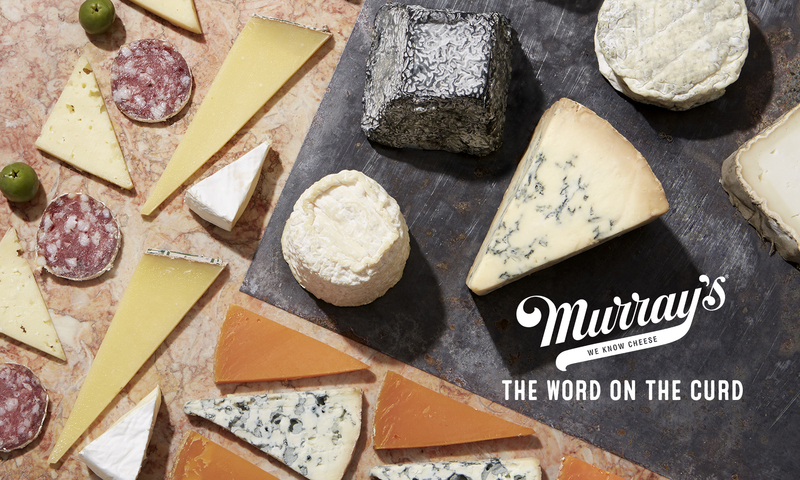 We have started offering PANINI FRIDAYS at our Murray’s Cheese in Dillons in Manhattan, Kansas. Huge response!!! But we always do a “dry run” during the week to experiment with cheeses and add-ons. Yesterday we did Prima Donna and Speck on Sourdough with a thin dressing of Spiced Cherry Preserves. Though lower in fat, it was still a fantastic combo!!! The favorite so far has been Bellavitano Rosemary Olive Oil Asiago with salami and roasted red tomatoes. Everyone said they tasted like Toasted Ravioli. Yum. Thank you! Mayonnaise had been suggested, but I wasn’t sure how it would grill up. I’ll give it a try.